Save Your Skin Foundation | Thank you to All who supported our Giving Hope Gala & Auction! 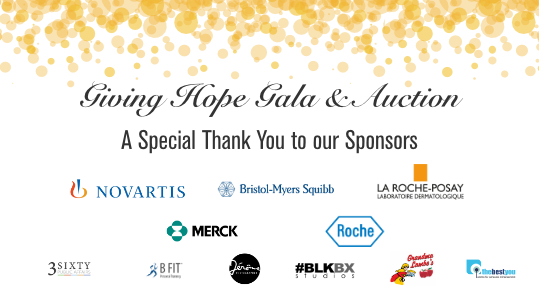 Thank you to All who supported our Giving Hope Gala & Auction! 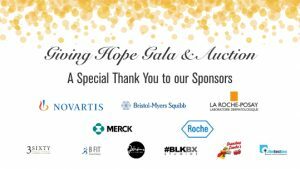 30 May Thank you to All who supported our Giving Hope Gala & Auction! 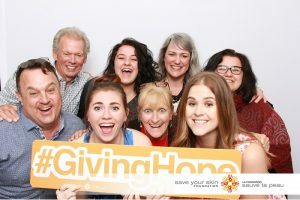 From all of us at Save Your Skin Foundation, a hearty Thank You to our sponsors, partners, supporters, family, friends, and guests who helped to make our Giving Hope Gala & Auction in Toronto on May 10, 2018 a roaring success! Please feel free to visit our Facebook page to view photos from the evening – click here to view our detailed thanks, and click here to see more photos! The patients we support appreciate your time, energy, and donations. We will continue to keep you updated on our work via newsletters and our social media channels – as always, please contact us at info@saveyourskin.ca if you have any questions. Thanks again, and see you next year!